Product prices and availability are accurate as of 2019-04-21 14:42:46 EDT and are subject to change. Any price and availability information displayed on http://www.amazon.com/ at the time of purchase will apply to the purchase of this product. 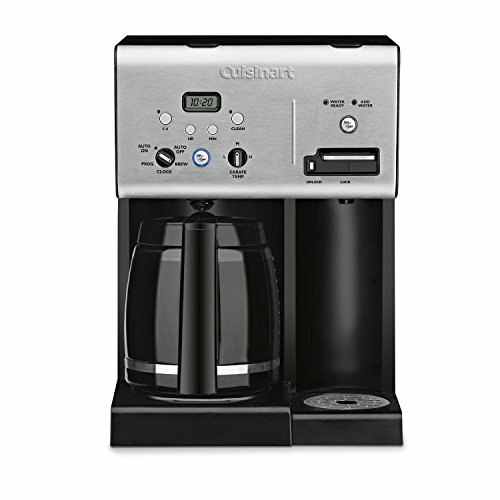 Wake up to the aroma of freshly brewed coffee each morning with the Cuisinart coffee 12-cup programmable coffeemaker. 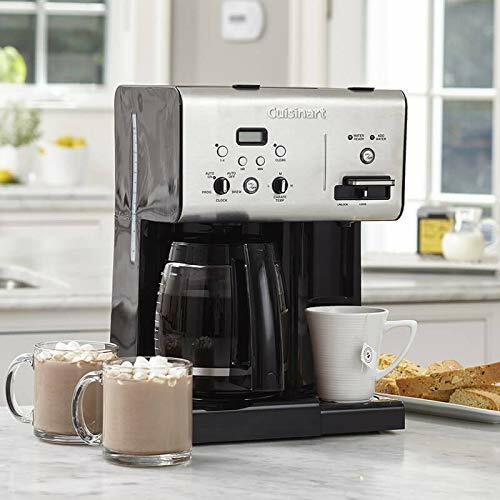 You don't have to be at your favorite café or diner to enjoy quality coffee, this unique coffee machine brews coffee, tea, hot chocolate, soup or any other hot beverage instantly. Now you are never more than a minute away from enjoying your favorite instant soup, hot cocoa, tea and more. Among its other notable features is a 12 cup carafe with drip free spout, 2 in 1 beverage center with separate hot water system and dual charcoal water filters. Fully automatic with 24-hour programmability the carafe has a special temperature control and brew pause feature as well. 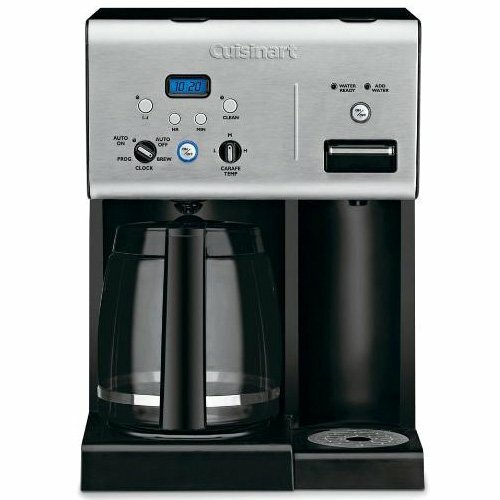 This Certified Refurbished product is tested & certified by Cuisinart to look and work like-new. The product includes all original accessories, and is backed by a 90 day warranty. 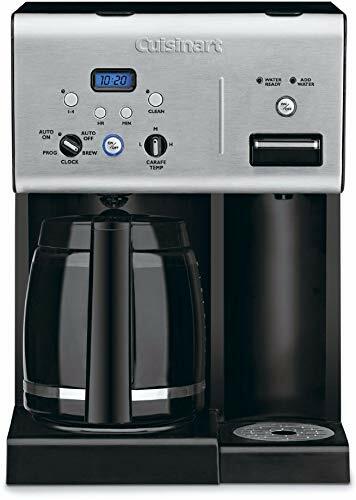 12-Cup Carafe with a drip-free pour spout and a comfortable handle /Blue backlit LCD with digital clock brightly displays everything at an easy-to-read glance. 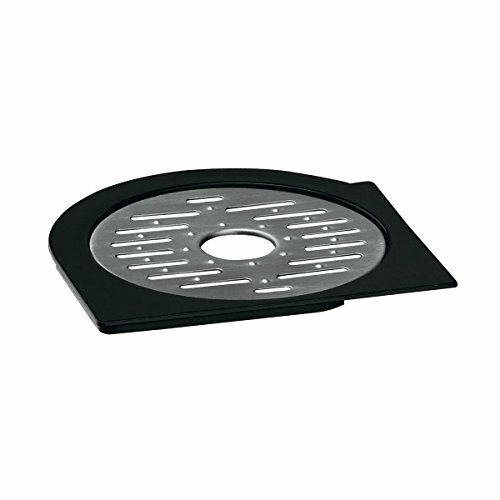 Carafe Temperature Control offers a heater plate with High, Medium and Low settings to keep coffee at the temperature you prefer. Brew PauseTM feature lets you enjoy a cup of coffee before the brewing cycle has finished. Charcoal Water Filter and Gold Tone Filter remove impurities that can alter the taste of your beverages.